Clean Image Janitorial, found in 1989, offers a wide range of eco-friendly cleaning services at competitive pricing. Whether it be a one time service or long term we would love to customize a cleaning regime suitable for your needs because we would like to build long-term relationships with our valued customers. 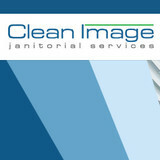 Clean Image Janitorial Service #1 priority is to provide our clients with high service and we are dedicated to providing 100% customer satisfaction. Our staff are our own: no sub-contracting. All are carefully screened by the RCMP, trained by our own supervisors, and fully insured and bonded. Nate Solutions offers professional window washing services to Squamish, West Vancouver and North Vancouver & Whistler businesses and home owners. Our mission is simple: to provide the best quality window cleaning, gutter cleaning and pressure washing services for residential and commercial properties in Metro Vancouver. We are trusted by thousands of customers that depend on us to maintain their properties from Vancouver, West Vancouver, North Vancouver, Burnaby, New Westminster, and Richmond. Our success is built on a solid reputation for honesty, reasonable rates and quality of work. If you manage a commercial building, high-rise strata or your own residence, then rest assured that we can handle all your window washing, gutter cleaning and power washing needs. We lead by serving ethically, safely, and respectfully. We will do our best to make your experience excellent. Westcoast Building Maintenance was founded in 1974 by Tony Addante and later joined by sons Albert & Franco Addante. We have grown to be one of Vancouver’s leading janitorial service companies through dedicated customer service & high quality standards, which have remained the pillars of our business from day one. Today, Westcoast Building Maintenance provides services to a wide range of industries that include commercial properties, residential buildings, educational institutions, restaurants, retail and construction. Byron's Window Cleaning is a professional home and building maintenance company based in North Vancouver, BC. With 25+ years in business and loyal customers across the lower mainland, Byron's Window Cleaning is the number 1 choice for window cleaning on the North Shore. We guarantee 100% customer satisfaction on every job. A Plus Cleaning and Janitorial Ltd. has established a reputation as one of the most reliable cleaning companies in the Vancouver lower mainland, building long term relationships with clients. Initially working in post-construction cleaning, A Plus expanded its range of services in response to client demand to include the full spectrum now offered. Our full range of services enables us to tailor our involvement to best meet client needs and to fulfil the requirements every job on time, on budget and done right the first time. Our well-supervised crews have the training they need backed by the WCB coverage, liability insurance, and bonding to give our clients confidence and peace of mind. Our prices are very competitive and we always employ a well trained, uniformed staff complete with on-site supervisors. Your site superintendent will have direct access via cell phone and/or email to one of our project managers. This helps us to ensure that we provide you with the best service from both the management level and hands-on cleaning team. 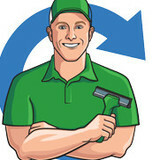 Men In Kilts is North America's leading Window Cleaning, Gutter Cleaning, Siding Cleaning & Pressure Washing company. We clean. You enjoy. Just remember... No Peeking! Men In Kilts was started in 2002 by Nicholas Brand, a Vancouver based Scotsman who fashioned a hand sewn kilt and put a visual to the otherwise faceless window cleaner. Our Mission: To bring smiles to the world… one kilt at a time! We are committed to delivering a professional, unique service experience while bringing smiles to the faces of all those we encounter…one kilt at a time. We strive to deliver the highest level of service at all times and back our service with our Clean Guarantee. Island Snowbirds Property Maintenance Services prides itself on being the go-to choice for clients looking for Moss Removal, Residential Window Cleaning and Gutter Cleaning services. We pride ourselves on our attention to detail, which showcases our dedication to being the best window cleaners in Washington State. 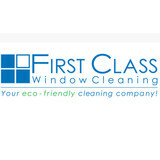 Our mission is very simple: to provide you with beautiful clean windows at a very affordable price. 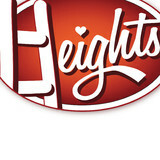 We’re a locally-owned and family-operated company — we work and live in the community that we proudly serve. We’re also active members of International Window Cleaning Association (IWCA), which keeps us up-to-date on all the latest tools and techniques to brighten your windows. As members of the Lynden Chamber of Commerce, we stay connected with the community while we support our local businesses. Let our 25 years of excellent customer service brighten your windows today! Owner and operator, Eric Durán began his company in Corpus Christi, Texas, in August of 1985. It was here where he learned to clean windows professionally under various experts including Keith Witt who won world's fastest window cleaning award and appeared in the Guiness Book of Records. Sometimes called The Mountain, The Rainbow or the Zig-Zag, an ergonomicably safe and martial-art-like technique that you'd have to see to appreciate. 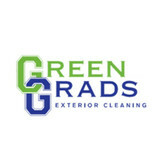 Call us for a free estimate and demonstration for your home or place of business. Window cleaning done right brings impressive, shinny results. Thorough Cleaning is Our Goal At Sunshine Window Washing, we don’t just make it LOOK clean. We make sure it IS clean — even in places no one will ever know. Our services go far beyond window washing to removing mould and moss, hand-washing vinyl siding. We serve residential and commercial customers in Abbotsford and the surrounding areas. Call us today for a free estimate. We are generally available within three to 10 days, or can quickly respond to more critical issues if needed. Since every home is different, the best way to ensure the accuracy of your estimate is with a visit to your property.